Parents of newborn babies are presented with so much information during their brief hospital stay, it may be hard to absorb and remember it all. One of the topics usually discussed is safe sleeping for babies. We thought it would be a good idea to review that subject briefly since it is so important to your infant’s well being. Though rare, “crib death”, or Sudden Unexplained Infant Death (SUID) as it is now called, continues to occur, causing unspeakable tragedy for the families involved. This terrible occurrence is not completely preventable, but the risk can be significantly reduced with the tips presented below. The list of suggestions was developed by the Arkansas Children’s Hospital Injury Prevention Center and reflects the latest scientific research on what works to reduce a baby’s risk of dying in his/her sleep. If you have questions on this subject, feel free to bring them up during your next wellness appointment. The safest place for your baby to sleep is in a room with you, but in his own safety-approved crib or bassinet. Do not allow adults or other children to share a bed with a baby. Cribs should be approved by the Juvenile Products Manufacturers Association. The space between bars should be less than 2 3/4 inches(about the width of a soda can). A crib should have a firm mattress and a snug-fitting bottom sheet. Do not place stuffed animals, soft bedding, pillows, bumper pads, or wedges in the crib. Be sure any secondhand crib has not been recalled. Visit www.recalls.gov. Make sure any crib has all its parts. Do not allow your baby to sleep in a car seat if it’s not in a vehicle. Do not use bouncy seats, sofas/chairs as a sleeping arrangement for your baby. Put your baby on his back to sleep, at night and for naps. Side sleeping is not safe and is not advised. Babies sleep comfortably on their backs. Babies are less likely to choke when they sleep on their backs. Babies need adult-supervised “tummy time” when they are awake. This helps them develop normally and helps prevent flat spots on their heads. Overheating is a risk factor for Sudden Infant Death Syndrome. Dress the baby in the type of clothes you would be comfortable wearing. Blankets can become loses and end up on the infants face. Instead of using blankets, dress your baby in a wearable “sleep sack”. Keep the baby away from cigarette and other smoke. 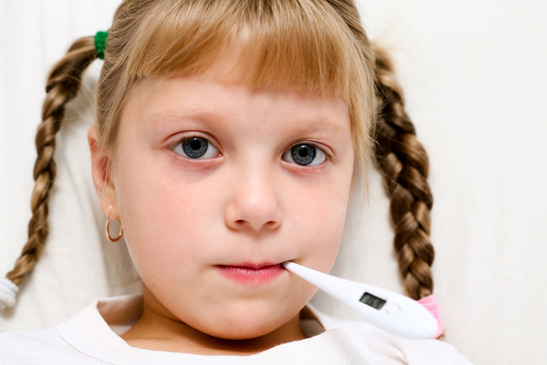 Mumps – What You Should Know Showing your child love on Valentine’s Day!